March is one of the best months to plan your holidays since its well before the summer season in the Northern Hemisphere and the winter crowds in the tropical areas are starting to thin out at the same time. It is that month of the year when you are already wearing out, with all the workload and eagerly waiting to take the break. So we have found some of the best countries to explore in March, where you can indulge in festivities while enjoying the culture and sightseeing. Nothing will be like to be the part of India’s Holi celebrations in Delhi, Europe’s cheer and festivities for St. Patrick Day, majorly in Ireland. Canada’s winter wonderland, Lake Louise all will definitely make your March vacation the most memorable one. 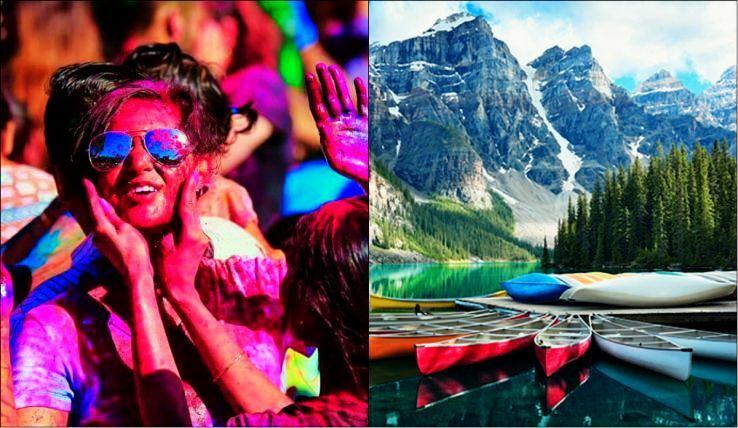 When it comes to India, nothing like to be the spectator of, Holi the festival of colors is celebrated with great charm in the capital city Delhi, its when you see the city is full of vibrant colors and events. Come March, one will get to see many Dj parties and Holi events going on in the city. 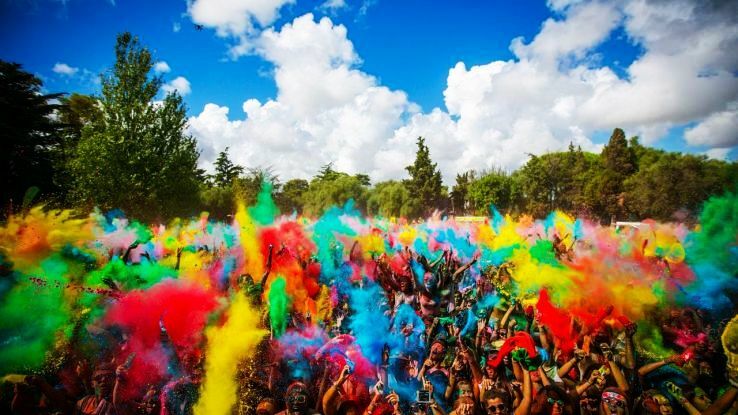 Its believed that Holi festival is the brightest in Delhi. Culturally and rich with heritage, Delhi offers numerous historic sites to explore and one can delve into the history completely. Food lovers can satiate all their cravings by munching local Delhi food, which is renowned in the world and if wish to party late nights then millennials new party junction HKV Hauz Khas Village will keep up with your pop up night out. Ireland is a place of stunning natural beauty and home to a people known for passion, humour, and imagination. 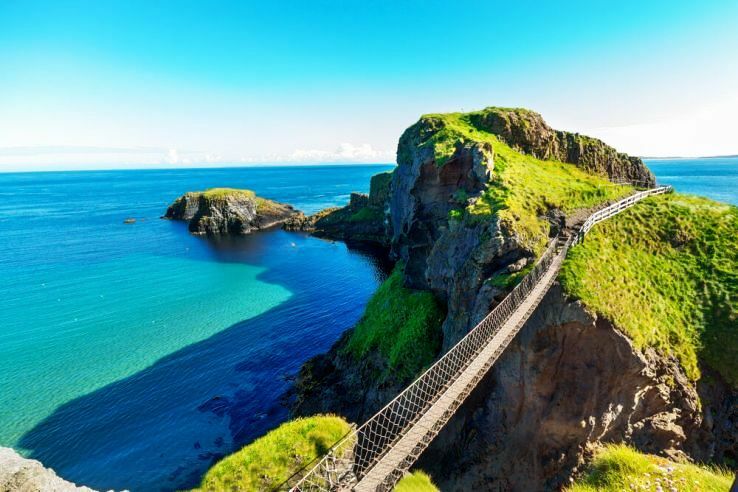 These days famous for Game of Thrones shooting locations, Ireland is the best city to travel to in the month of March as the Dublin, celebrates the St. Patrick’s Day in the mid-March, when the whole city comes to life for five days. The St. Patrick’s Day parade, where people in costumes walk through the lanes, its when you will find overflowing of pints and packed pubs. 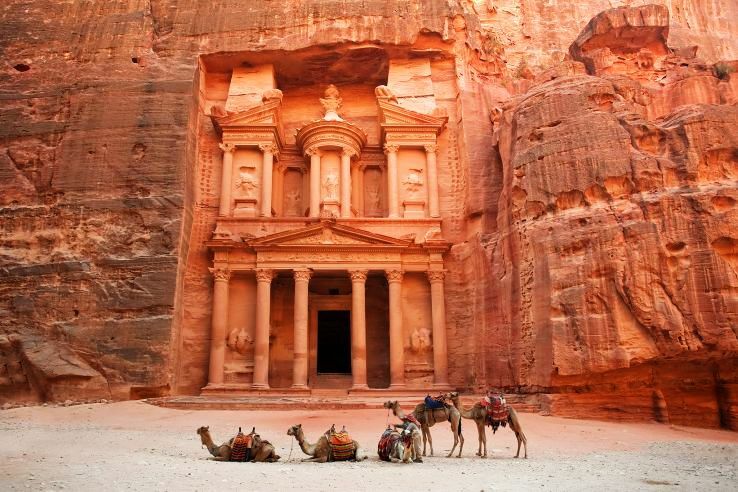 Jordan located in the Middle East on the borders of Syria, Red sea, Palestine and Iraq is the most captivating city to be in. The unique destination in own offers numerous breathtaking and mysterious sights, it's here you can experience the majestic ruins of bygone civilization in the Petras, which is also known as a rose-red city, as old as time. A place to restore your body and mind, nature’s miracle, Dead sea lets you float in the middle of the sea. The stupendous timeless place Wadi Rum is a must visit place when in Jordan and don’t forget to devour the most delectable cuisines. Patagonia, Chile Famous for Los Torres the dramatic stone peaks that overlook the Torres del Paine National Park, which draws climbers and travelers from around the world and mid- March is the best month to experience the best of the beauty of this park and indulge in trekking and various other activities. Also, The marble caves of Lake General Carrera, created over 6000 years ago by the waves washing the marble, is the most beautiful in the world. Not just that, the glaciers in Chile make up 80% of the glacier coverage in South America, and you’ll find the most astounding ones in San Rafael National Park. 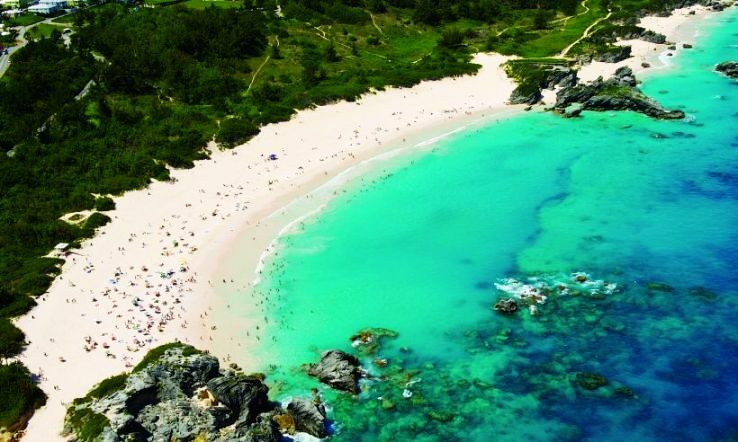 Bermuda’s mystery has always kept us thinking about it but what we appreciate the most is Bermuda’s legendary beaches. The rare combination of experiences is what you find here, one of them is pink sand beaches. Bermuda the majestic island has plenty of things to offer one can go sailing or shipwreck diving, explore the historic towns and relish the world’s best fish sandwiches with rum-drinks. Located in the Persian Gulf, with its land bordering Saudi Arabia, Qatar is one of the seven Arab States. It is a mix of the modern and eclectic city boasting diverse attractions, high-end dining and shopping options, colorful souqs and the lot to explore in adventure side. If you are here in the month of March then don’t miss to explore The Pearl Qatar, Island it's a man-made island and an epitome of luxury, know about the historic side of Qatar by visiting The Al Zubarah Fort, enjoy the atmosphere by taking a stroll on Doha Corniche. Lake Louise is the world famous turquoise water lake with an amazing mountain backdrop. Its here one can enjoy the jaw-dropping natural beauty, as the lake’s surrounding is blessed with nature. It's here one can indulge in numerous activities such as hiking and skiing. From sleigh rides to dog sledding, paddling, hiking and more, there is something here for every level of an adventurer and considering March is the best month to enjoy all these. Switzerland the paradise on earth is an all-time favorite destination amongst the tourists, it's here you will find travelers throughout the year coming. But, if you ask any local here, March is the best month to explore the real beauty at its best, with almost 13 hours of sunlight and snow, which means long sunny days on the slopes. One can enjoy beer apres ski, visit Jungfrau and the Schilthorn peaks for excellent skiing options. Culturally and spiritually rich Fez, Located in the foothills of the Middle Atlas mountains, it ranks among Morocco’s best-preserved cities, complete with dusty streets, faded palaces and candle-lit riad courtyards. Marrakech may have been known and more popular but Fez Morocco’s second city is the center of learning in the Arab World. Along with ancient touch, it has got a modern edge too, one can explore numerous new shops, bars, cafes, and souks. Spain’s third largest city, Valencia welcomes spring in a fiery Spanish way, the whole month is about celebrations and festivals. A week-long La Fallas festival, where Valencia displays a host of satirical paper-mache sculptures, which they display in the long-parades on the final day. One can be the part of all the celebrations were fireworks, music festivals and light shows take place in the month of March. The city of arts and science offers more to explore Casco Histórico, El Miguelete, Valencia Cathedral, and many other historic places.